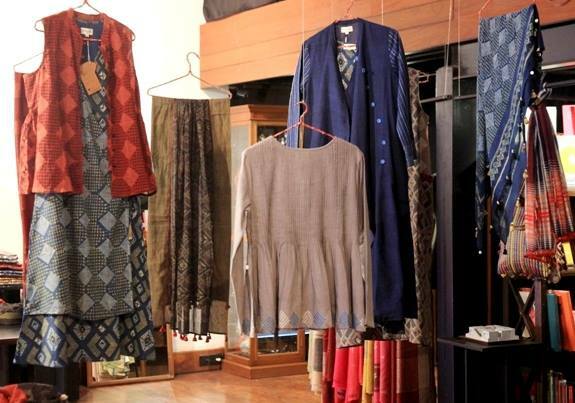 What does wearing ‘Ajrakh’ mean to you? 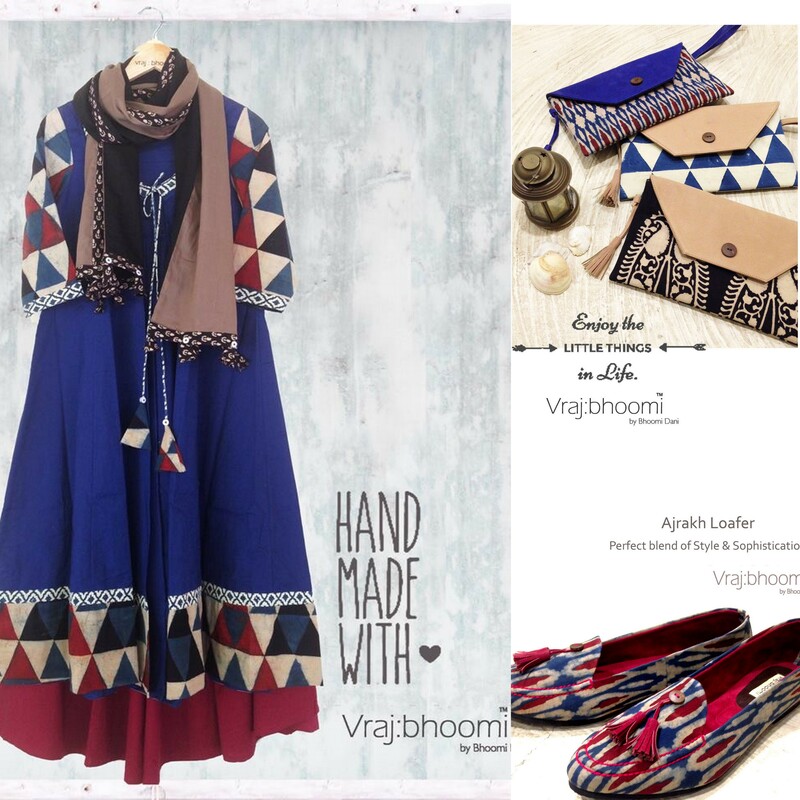 Indigene’s very stylish creations…got yours yet? 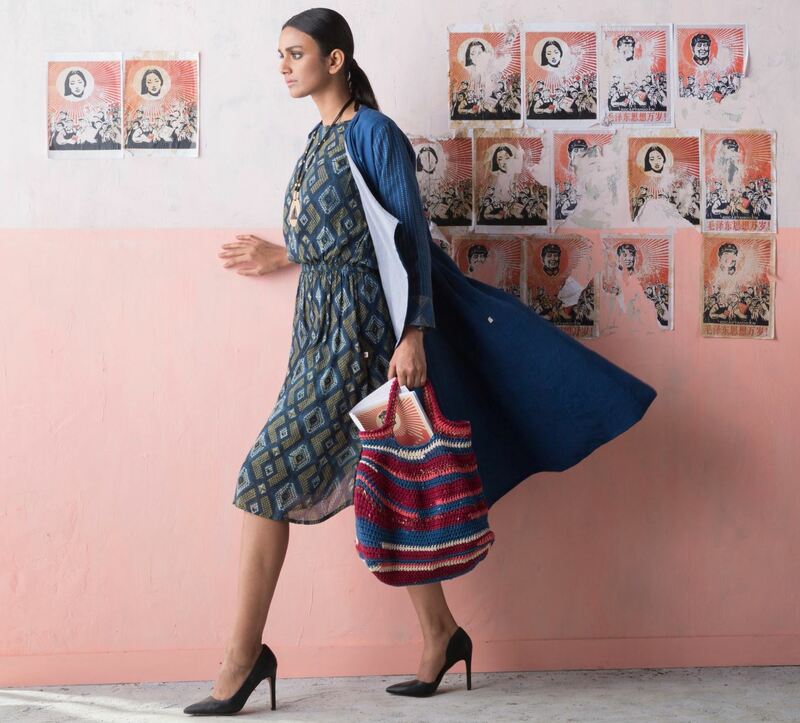 Indigene’s Ruchi and Jaya are one of the finest brains in this business…So, wait no more; just get a little bit of their style (dresses, shoes and the most stunning bags too!) into your wardrobe…bring one of their creations home. Connect with them here. 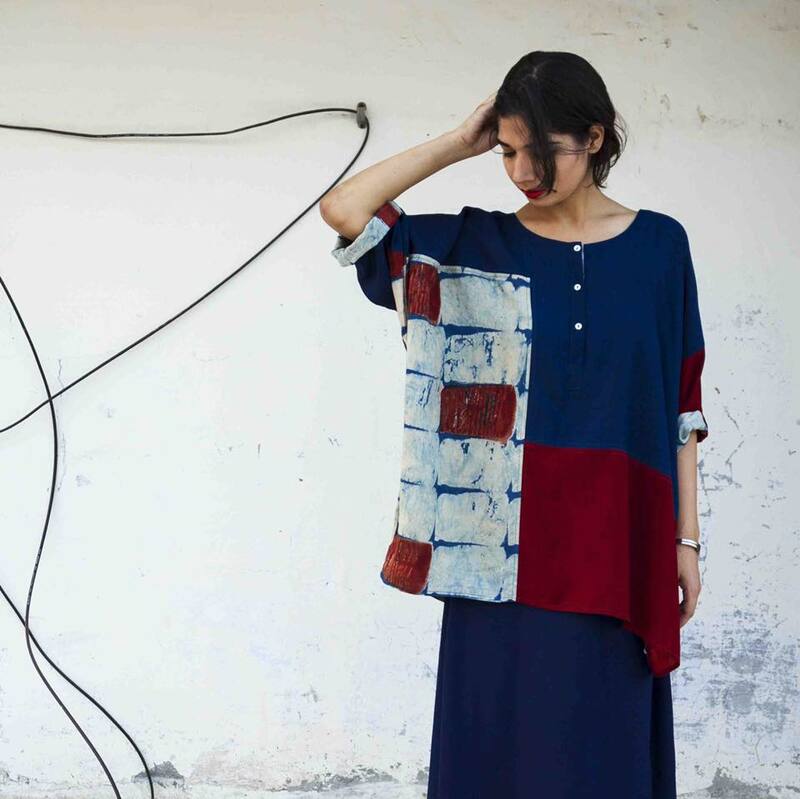 Soham Dave’s designs, using this style of printing, of course, I am referring to ‘ajrakh’ to create dresses, kurtas and even stunning bags are just wonderful. I would urge you to have to a good browse and perhaps treat yourself to one of their goodies. Find out more here. I couldn’t end this post without the mention of a most amazing artisan, Khalid Amin Khatri, who lives in the quiet village of Ajrakhpur in Gujarat, India and who is known for being a non-conformist and creates masterpieces by using asymmetry in block printing; traditionally symmetrical block printing has been used for years. Read more about him in this wonderful article featured in Border & Fall. If you happen to be in Ajrakhpur, then simply ask for ‘Khalid Bhai’ and he will proudly show you his work. This talented man’s work was also exhibited in the V&A museum in London…way to go, Khalid Bhai! 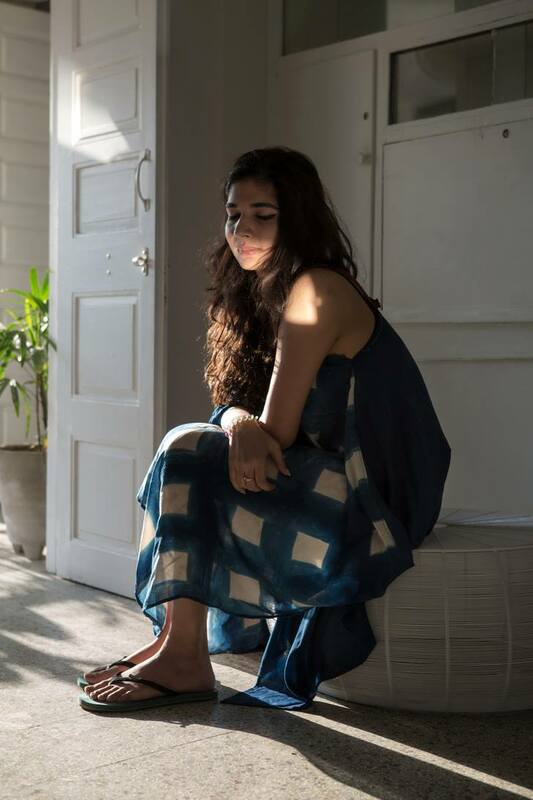 Nupur from our NJAS team, was lucky enough to meet with him a while back and was able to learn about the stories and inspiration behind his work and of course came back with stunning ‘ajrakh’ goodies too. If you would like to do so too, then do get in touch with him on: 0091 97278 62958 or email him at: aasmaniajrakh@gmail.com; Promise, you won’t be disappointed. Now, am sure you have no questions about why ‘Ajrakh’ strikes a chord with nearly everyone and the reason behind it being ever so awesome! Be ‘Ajrakhed out‘, if possible!